Offering key information about a person’s behaviour and conduct at work, Personality Assessments are exceptionally useful in helping employers assess if an individual has the requisite qualities to be successful in a role, a team, or a business culture. Our globally recognized personal assessment tools – PAPI 3 ® & CIPQ ® are widely used by clients to understand talent. The assessments are available with an extensive range of supporting reports and interview guides that are tailored according to each participant's personality profile and can be tailored to work alongside specific client competency frameworks. Based on the world renowned Theory of Emotional Needs by Henry Murray, PAPI 3 (Personality And Preference Inventory) is a leading work-related personality assessment that is used by HR professionals and line managers in order to evaluate the behaviour and preferred work styles of individuals operating at all levels in an organization. Through interactive online questionnaires, PAPI 3 looks at the drivers and working styles of participants. It provides targeted, in-depth information about their preferences and typical behaviour at work. PAPI 3 generates instant and concise reports to expedite recruitment decisions and conduct structured development conversations. Specific versions offer powerful analysis by incorporating additional scales that are crucial for success in sales and leadership roles. The outcomes are predictive and provide the client with focused pointers around the respondents’ strengths and gaps for these roles. brings the PAPI profile wheel to life at the touch of a fingertip, allowing users to explore a responsive PAPI wheel on screen, pinpointing and drilling into the insight they need, to prepare for feedback conversations. makes PAPI 3 the perfect tool for multinational organizations, since the questionnaire was created from the ground-up, with international inputs from the start. It is relevant and culturally sensitive and is available in multiple languages. 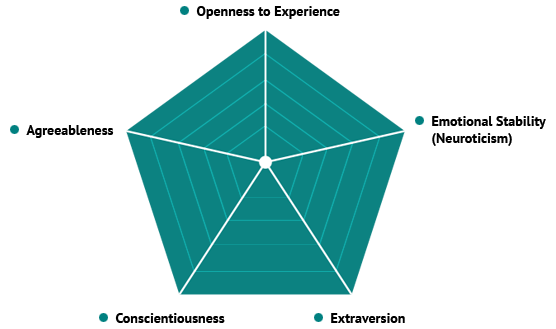 CIPQ (Cubiks In-depth Personality Questionnaire) is a normative self-report questionnaire that is designed to assess the underlying aspects of an individual’s personality. Inspired by the work of Professor Raymond Cattell, CIPQ covers 17 personality areas, which have been grouped to cover the recognised ‘Big Five’ personality dimensions. An understanding of how they deal with stressful situations.